Nelda Jean Foster, 78 of Pana passed away Saturday, April 6, 2019 at her home. She was born March 3, 1941 in Wayne City, IL to the late Byford Lowell & Flossie Irene (Overbey) Esmon. She married Harley “Tom” Foster, Sr. on December 22, 1963 in Wayne City, IL and he survives. Nelda worked as a teacher for 33 years before retiring. She received a bachelor’s degree from Southern Illinois University and a master’s from Eastern Illinois University. 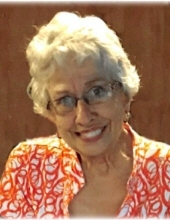 She was a member of St. Paul’s United Church of Christ, Dollville, past President and Treasurer for the teaching sorority, Alpha Delta Kappa, and a lifetime member of the National Education Association- Illinois Education Association. Nelda volunteered with the Boy Scouts of America for over 40 years during which time she served as den mother, Troop Committee Chairman, Unit Commissioner and was on the district board of the Lincoln Trail Council. She was the first member to be elected to the Order of the Arrow in Illinois and was selected to be a Vigil member of the Order of the Arrow. She also received many awards during her years as a volunteer including the Silver Beaver Award, the highest award given to a volunteer. After her many years of volunteer service, Nelda went on to work full time with the Boy Scouts for 13 years. When she was home she enjoyed gardening, working in her flower beds and spending time with her grandchildren. Along with her husband, Nelda is survived by her three boys Harley Thomas (Amy) Foster, Jr, Michael (Robyn) Foster both of Pana and Alan (companion Jennifer Hawkins) Foster of Assumption; grandchildren: Miranda, Ethan, & Ryan Foster, and Joscalin & Oliveah Foster; sister Sue Meyers, Wayne City, IL; and nieces Lisa Dickey and Julia Wood. She is also preceded by her brothers Dwight Esmon and Donald Esmon. Funeral services will be held Wednesday, April 10, 2019 in McCracken-Dean Funeral Home at 10:00 a.m. with Pastor Steve Nance officiating. Burial will be in Linwood Cemetery. Visitation will be Tuesday, April 9, 2019 from 5:00-7:00 p.m. at the funeral home. Memorials in Nelda’s honor may be made to The Boy Scouts Rhodes-France Scout Reservation for Campership Funds. "Email Address" would like to share the life celebration of Nelda Jean Foster. Click on the "link" to go to share a favorite memory or leave a condolence message for the family.